There are glow worms at Shakespear Park’s waterfall gully. Not a lot, but enough to make it a fun evening adventure. If you like stepping off the beaten path, this is your opportunity. I lived walking distance to this waterfall for nearly 10 years before I found out there were glow worms there. 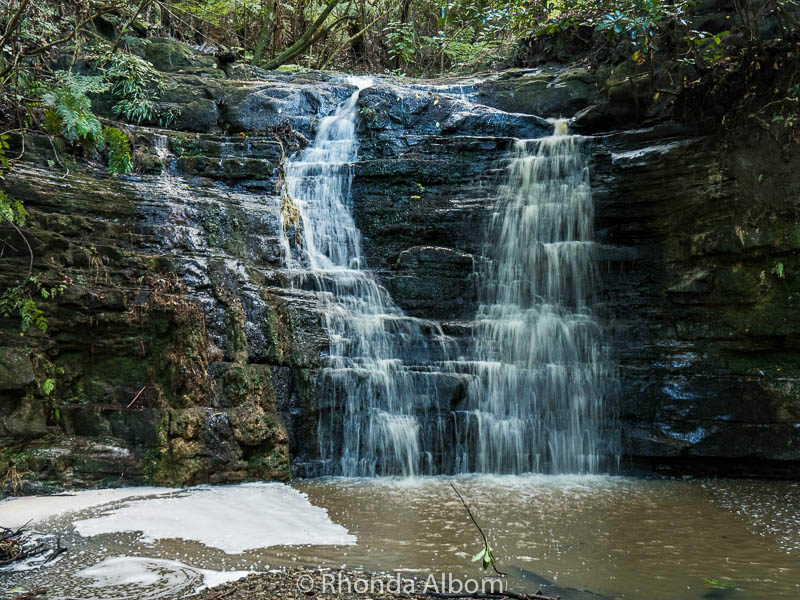 It’s a short hike from the car park to the Shakespear Park waterfall and one that we do frequently after the rains. Colours deepened to a richer shade, a fresh aroma fills the air, and the usual trickle at Waterfall Gully cascades over the rocks with power and pride. Night hikes aren’t that different than going in the daytime, other than the lack of natural light. However, you can see much more of the park in my photos that were shot during the day, so that is what is displayed with one exception. You will follow all the steps as below only with a light in hand. Bring a good torch (flashlight) on the waterfall hike at night, as you can see there are branches and trip hazards on the trail. Your short hike to the waterfall begins at the pedestrian entrance of the predator-proof fence. The foreground below is part of the Waterfall Gully Car park. There is plenty of parking here. The pedestrian entrance has an inner and outer gate that cannot be opened at the same time. 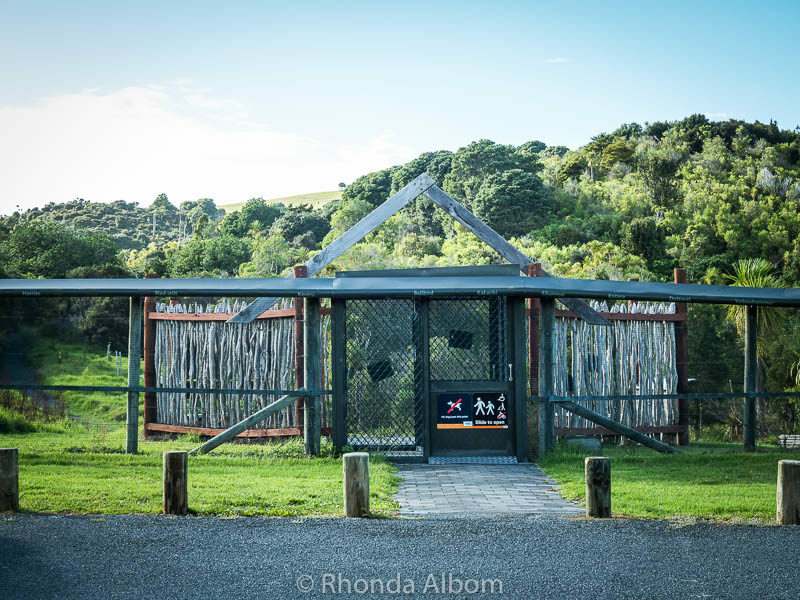 This helps to keep out the predators, making it safe for some of New Zealand’s special creatures like the Little Spotted Kiwi birds that live in the park. In the remote possibility that an animal enters with you, shoo it out before opening the inner gate. This is the pedestrian gate you will pass through to begin our short hike to Waterfall Gully. 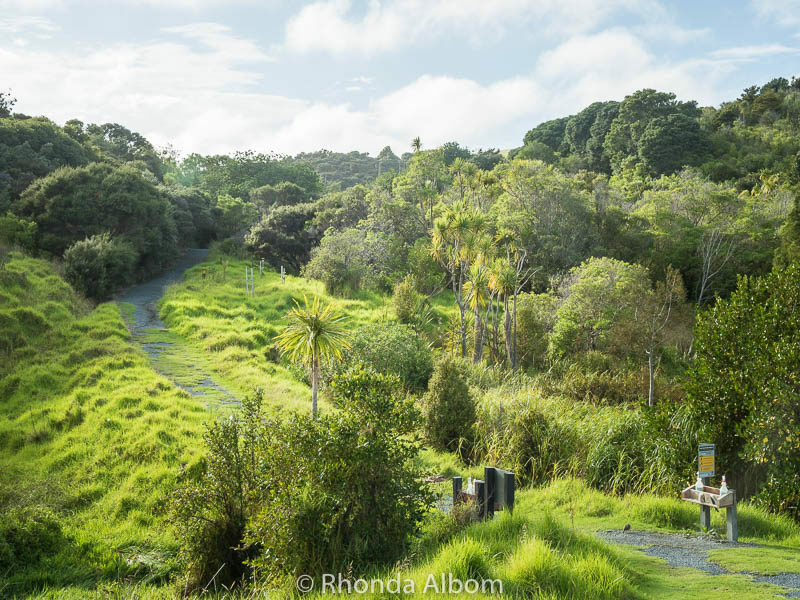 In an effort to stop the spread of a devastating tree disease that is affecting New Zealand’s Kauri trees, it is requested that all visitors clean the bottoms of their shoes. It’s a simple process, just down the hill from the entrance. There are spray bottles and a brush. After that, you are off to see the waterfall. I am looking at the start of the trail to Waterfall Gully from just beyond the gate. 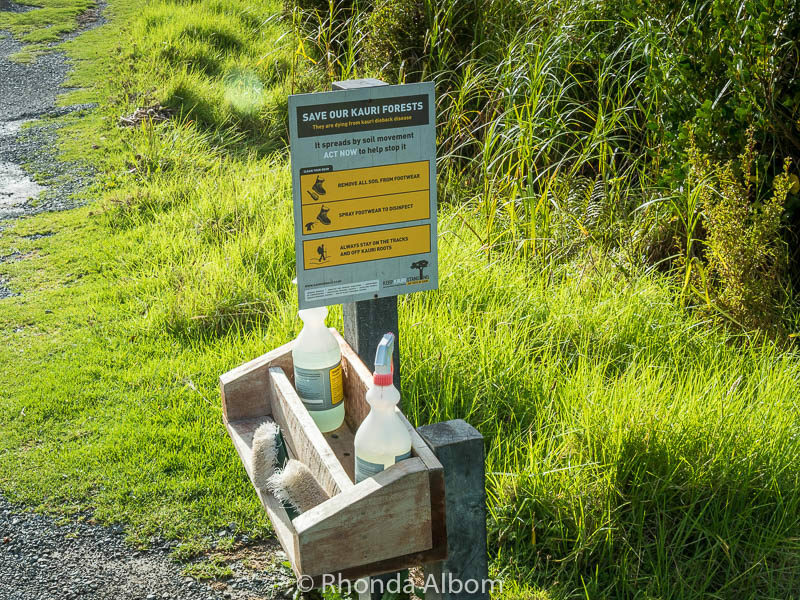 Before beginning our hike, we clean our shoes to help stop the spread of Kauri dieback disease. 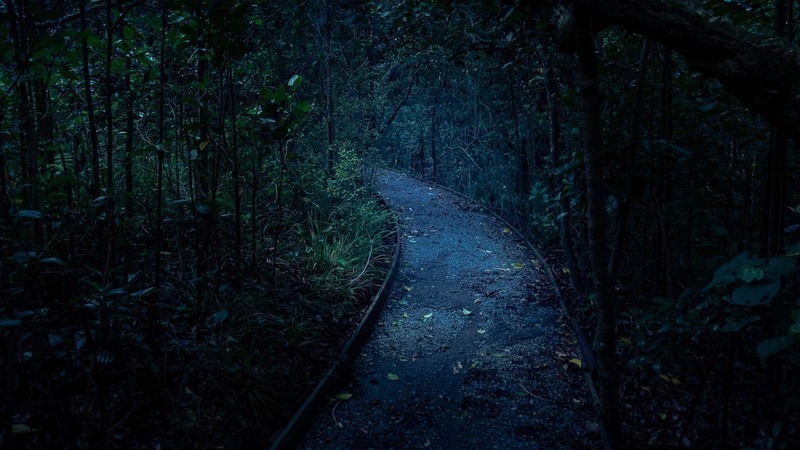 The hike from the car park to Waterfall gully takes about five minutes in daylight and a bit longer at night. It is probably the shortest “hike” in the park. 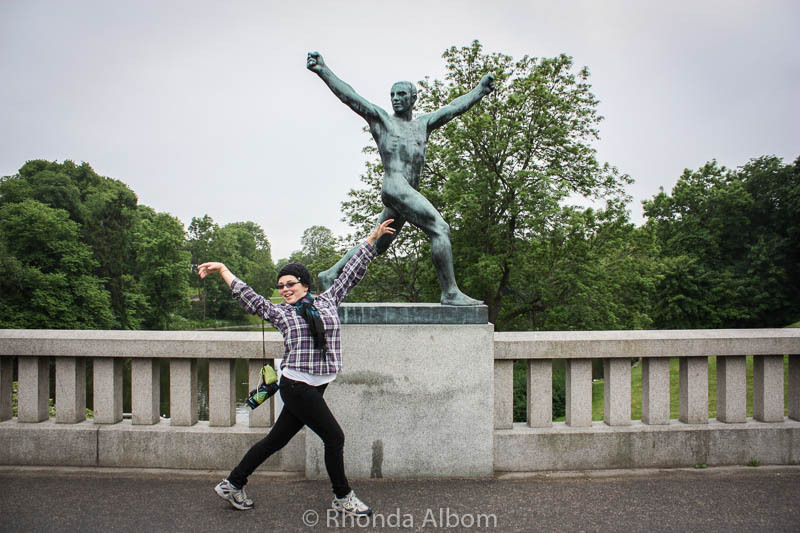 In reality, it is just a small segment of the larger Heritage trail. Here is what the trail looks like in the day time, followed by a few views of the park seen from the trail. The branches and roots on the trail that remind us to always use our light on a night hike. The trail will split, with boardwalk style steps heading up or down. You will go down to see the waterfall. After a rainstorm, it has the best water flow, but the smallest area for standing at the base. In summer, after weeks of sunshine, it might only be a trickle. The first thing you should do when you arrive at the waterfall at night is to look for the water’s edge with your light. If you have children with you, now is the time to remind them that you will be turning off your lights. In the interest of safety, you will want to hold your child’s hand before you turn off the lights, as there is water nearby. Once it’s dark, you will look to either side or the centre of the flowing water. Soon you will see the lights of the glowworms. Usually just a trickle, but today we could hear the rushing water even before we arrived. 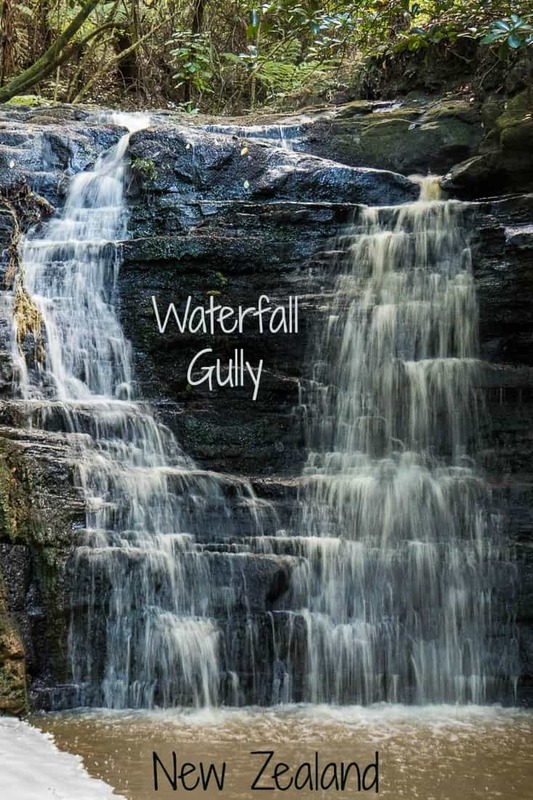 For a change, Waterfall Gully was a treat, flowing nicely after a storm. 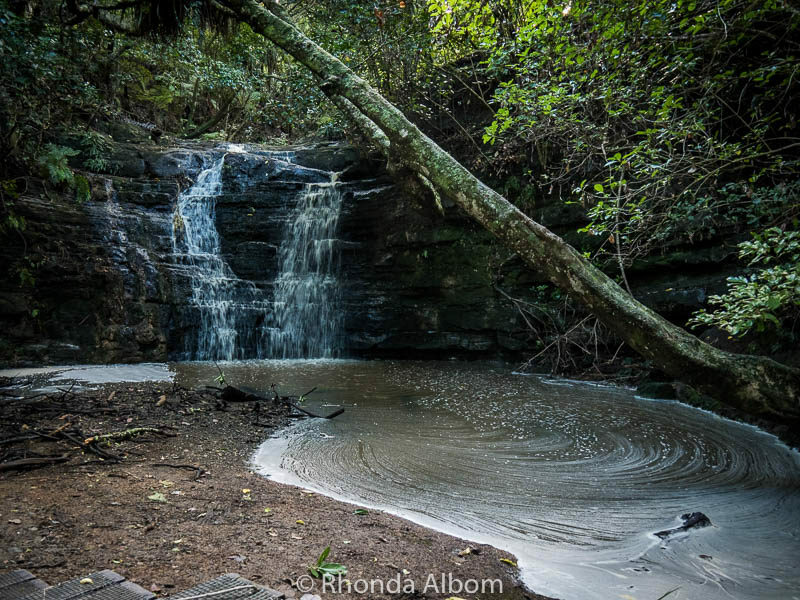 Even Waterfall Gully’s pool is much larger after the storms. Comfortable closed walking or hiking shoes. A good torch (flashlight) for ever person in your group. Insect repellent if you are going at dusk. Water for your walk and a thermos with hot cocoa for when you return. Shakespear Park is an Auckland Regional Park located at the end of Whangaparaoa Peninsula, about 50 km outside Auckland’s city centre. The best time to see the glow worms is on either a first or third quarter moon. The full moon is too bright, and the park is quite dark on the new moon. Find the moon cycle here. If you arrive at dusk, stay quiet at the waterfall and you may hear kiwi birds. Children will see more glow worms than adults. I have done this many times and have seen between 20 and 50 glowing dots. The longer you keep the light off, the more you will see. There are often glow worms along the stream on the way to waterfall gully. You can see them by looking to the left of the first bridge if you turn off your light. This is a fun adventure, a way to see a few glow worms. If you are visiting New Zealand, and want the real glow worm experience, you will need to go to Waitomo Caves or do the kayak tour we took in Tauranga. Have you been to the Waterfall Gully? Did you see the glow worms? Oh so this is the waterfalls you mentioned in your post today 15 Sept 2017. It is not as big as i expected. So when i go there i will not anymore check this falls, but i have lots of interesting things to look out for! I am dreaming to hike it. hahaha! The waterfall is not large but it was flowing very well after some huge rainstorms. 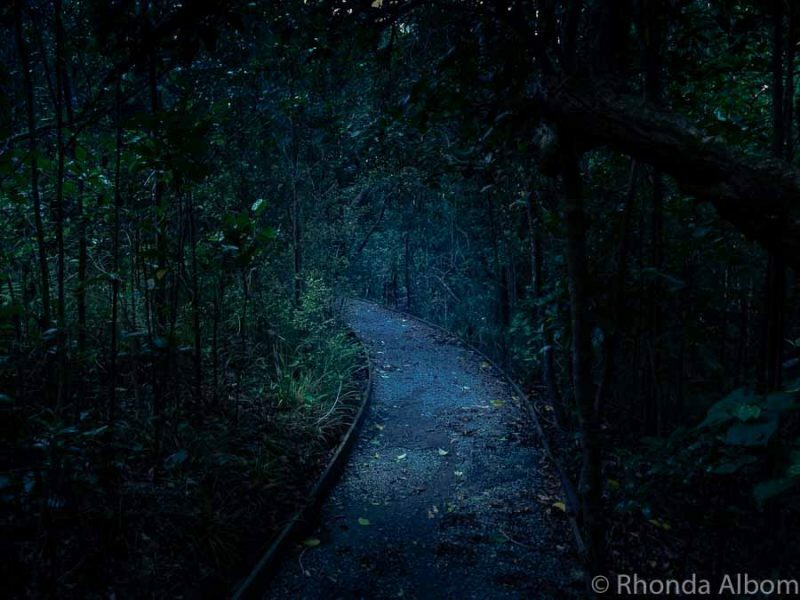 A trail goes up through the gully (including a nice boardwalk through tall canopy trees) and comes out in paddocks. Beautiful area and photos. I especially love the waterfall and pool. I thought that pool with the rings was so interesting. I hadn’t seen it like that before. I love the lush green pictures! I think it’s the best time to trek after rains. I love it because the landscape looks so much better. Loved the waterfalls too! Beautiful pics! I agree. The greens are so much more dramatic after the rains. How is it possible that every picture of New Zealand I see looks like it has come straight out of a fairy tale? The paths and the waterfall equally magical! It is great that they have put efforts in making it a bird sanctuary! Thank you for sharing this beautiful place! For about the first five years I lived here, that is how I felt every morning like I was waking up in a fairy tale. I will definitely hike there if I had a chance to visit New Zealand… hopefully sooner! I just need to fill my New Zealand travel money pot! Thank you for sharing this, I will recommend this as well to my in-laws living there in New Zealand. 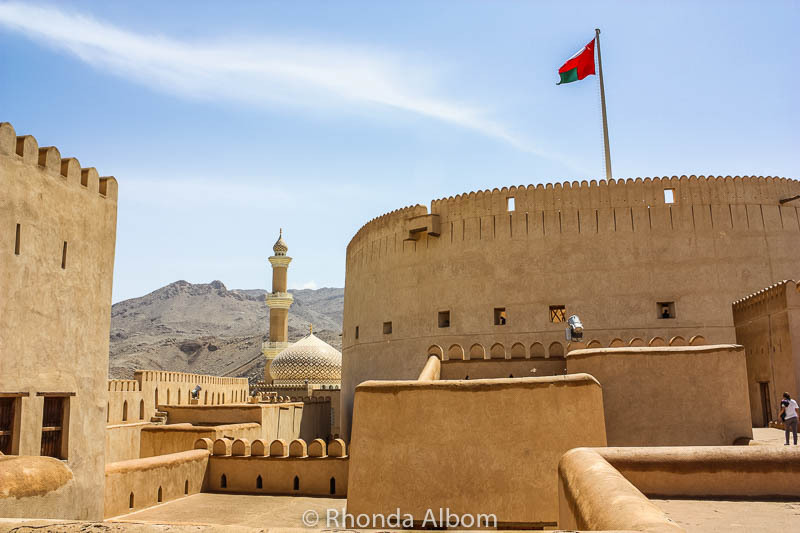 They are outdoors adventurers as well, they will definitely love this place. 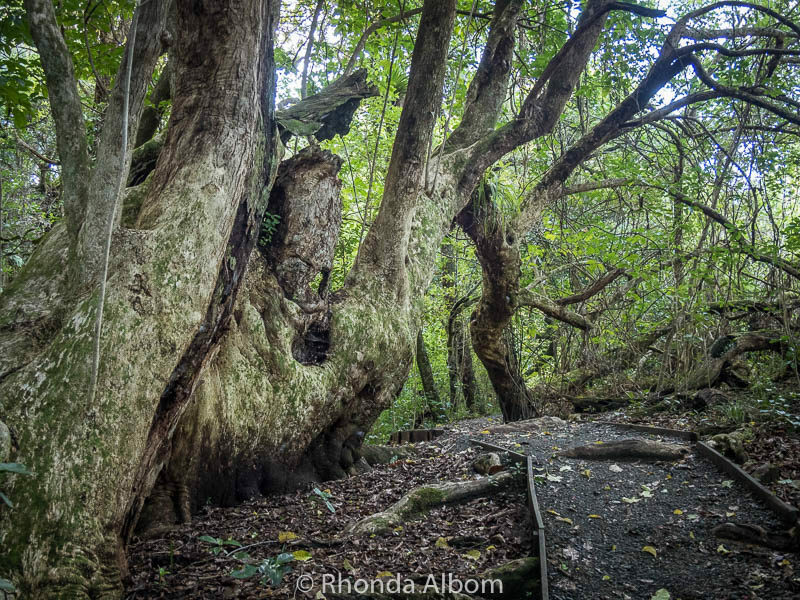 If your in-laws are in the Auckland region, they may already know of Shakespear Park. It is at the end of Whangaparaoa peninsula. They live in Churchill. I am not sure if they’ve been there because I haven’t seen them posting about any waterfalls in Auckland. They are very updated on Facebook. I had to look it up on the map. They are about as far south of Auckland as I am North. I would think they are closer to the Hunua Ranges, which has a lovely waterfall (although it overflowed its banks in the big rains that I wrote about here, so I am not sure how it is now). Gee waterfall gully is soooo pretty. I can’t believe this huge fall could ever be just a trickle – does it get so dry there? I am glad you got to witness it in its full power -love big gushing waterfalls which you can hear several mtrs ahead. If it looks like a huge falls, that is more a compliment to my photography than to nature. It’s still pretty small, and yes normally it is just a trickle, especially in the summer. 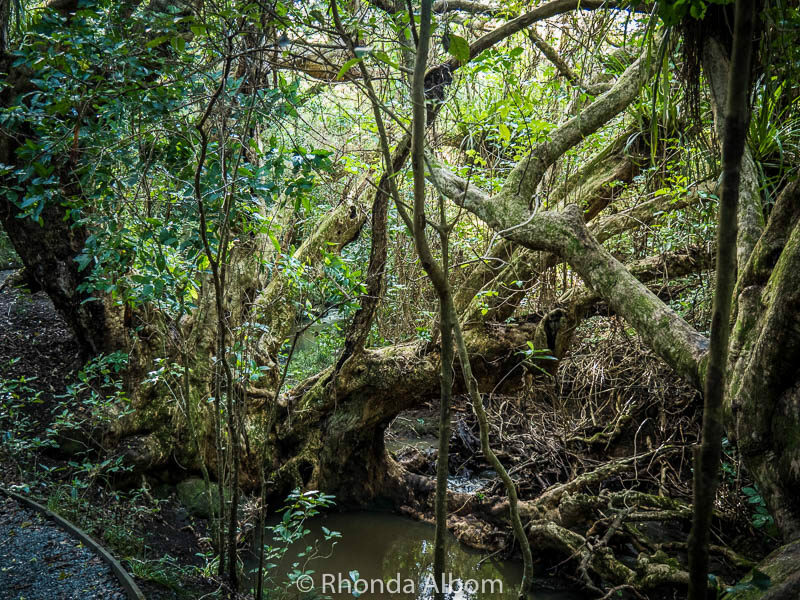 Wow those photos look totally primeval as if it is a secret place that nobody has seen for years and has been hidden away from human eyes – I love these natural areas that appear to have had no human intervention it makes your imagination just soar. LOL – I can walk here from my front door, and do quite often. What a gorgeous park! The waterfall isn’t too shabby either! Have a fantastic weekend! I feel so lucky to have it right out our door. I enjoyed the cyber hike with you. It was nice that they protect the area with folks cleaning off their shoes first. New Zealand is really good about protecting our natural resources. We miss hiking in the woods! We love doing it during spring and summer, even until fall..but this time around NYC is still super cold! Such a beautiful forest it is..
We are opposite seasons, so it is early autumn here, and still warm. Too bad you will never get a chance to come to New Zealand. It’s a photographer’s paradise. As for the trekking, this particular path is quite easy. I take a group of 5-6 year olds on it every year. So beautiful! You know, my husband was looking at employment opportunities in New Zealand the other day–not because we’re particularly gungo ho about moving away, but because there was a large call for IT professionals and some pretty awesome incentives. It’s such a beautiful place. One day… We’ll visit one day. LOL – they probably do, but Peter Jackson films farther south. WOW! What a beautiful place Rhonda and I especially love the waterfall and pool. We have some places around here but no waterfall. There is one location near me that the dirt smells like rootbeer. You can smell it but not drink it. I thought that pool looked pretty cool too, even though it might be pond scum. How interesting that a forest smells like rootbeer. I’ve never seen a place that asks you to clean your shoes before walking there. Fascinating. 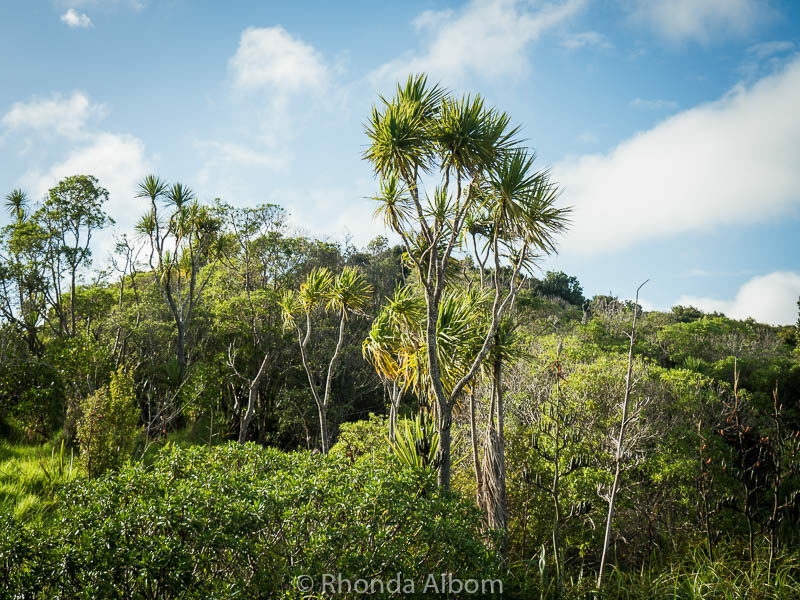 It protects the trees both in this park and other parks by preventing us from transferring the Kauri dieback on our shoes. Wow! What a gorgeous place to explore! More than a visit for us, we view the park across the bay from our deck. Waterfalls are the best after rains! As long as the trail to them isn’t too flooded. This place is so beautiful! I am up for a waterfall hike any day. Me too, and I can do this one from my front door. 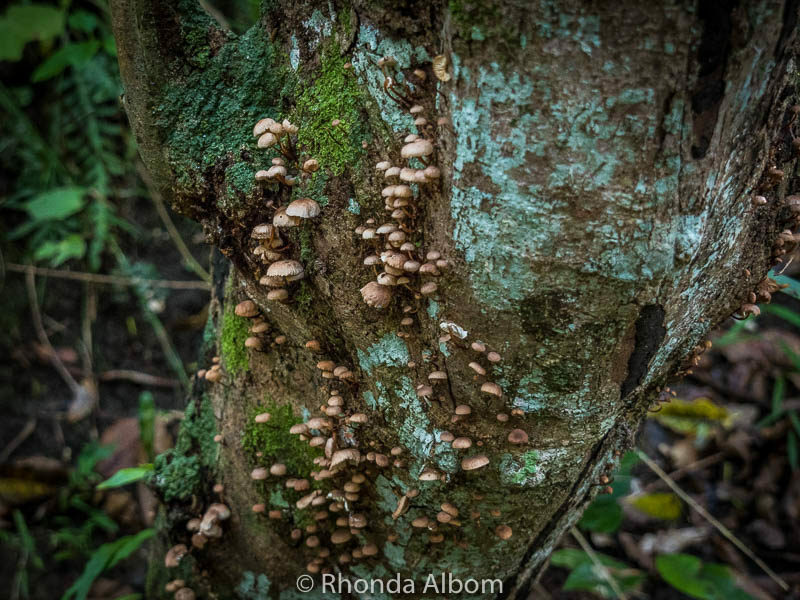 The little mushrooms on the tree are wonderful too! Don’t get me wrong, I love the waterfall as well. Thanks. These are all favourite photos of mine. You don’t need to have a favourite. That’s so pretty! Wish I was there today! It’s so cold here! Remember, this was just a break of days of rain. What lush and leafy greens! New Zealand is like this. Wow, what a beautiful site. You took some amazing pics. The colors and very just pops out. Very nice. Thanks Patrick. I am still in love with my new camera’s versatility. What a gorgeous place. The moss and lushness reminds me of Oregon. No wonder I liked Oregon so much. It reminded me of home. I think it is the sound of the water. It is associated with white noise, or relaxing sounds. Yes, I was worried about that too. Instead, I was trying to focus at the beauty of the circles. Beautiful! I love the greenery in the second photo. Waterfall Gully is stunning! Nature makes it easy sometimes. I would have loved to do that hike. I do like to hike after a rain. The air is so clean. Thank Sandee. If you come to New Zealand some day, I will take you. We can walk to the waterfall in 30 minutes from my front door. Beautiful area. I’ve not seen a park that asked visitors to clean their shoes. We clean them on the way in and the way out. It helps prevent the spread of the tree disease. All part of living in clean green New Zealand. This Park is beautiful and then with this waterfall and it is just magical! I can walk to this park from my house. It is always beautiful, but after the rain it really shines.